OCEANA © LIFE BaĦAR for N2K. Marine scientists have discovered a population of a species of starfish with 10 and 11 arms living more than 200 m below the surface in waters off Malta (central Mediterranean). These starfish were spotted using an underwater robot during an at-sea survey as part the Life BaĦAR for N2K project, which aims to identify new marine areas for possible designation as marine protected areas. A post-expedition biological analysis of the starfish confirmed the species to be Coronaster briareus, a starfish that usually has ten or eleven arms. This starfish was previously reported from the western Atlantic, where it is found from the United States to Brazil, but it has never been reported in the Mediterranean Sea, until now. “This is a quite a discovery. What we don’t know for sure is how or why these starfish are in the Mediterranean. Either they travelled a long way from the Atlantic into Mediterranean waters, or they simply had not been spotted earlier because the animals were observed in deep waters”, says Ricardo Aguilar, Senior Research Director at Oceana in Europe. 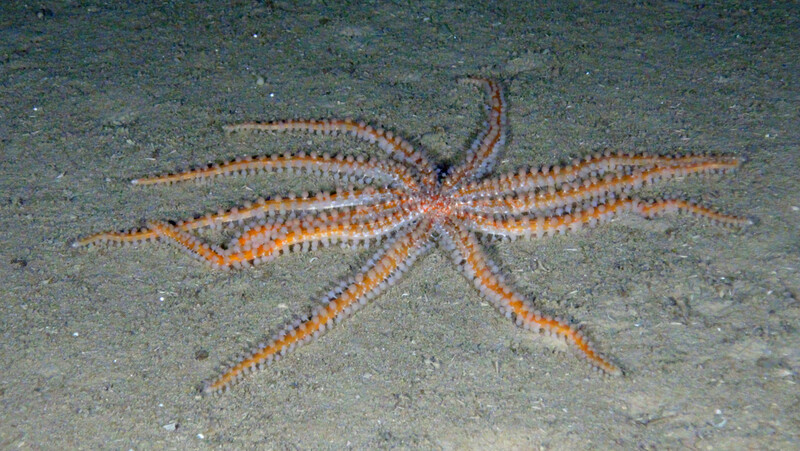 In total, scientists from the University of Malta and Oceana spotted 26 starfish at depths ranging from 240 to 562 metres. Some of the animals reached up to 25 cm in diameter and had a fiery-red colour and characteristic pom-pom-like white wreaths (known as pedicellariae) along the arms, giving the starfish a fuzzy appearance. “The discovery of what has always been considered an Atlantic species in the central Mediterranean was a surprise to us all. The fact that such important discoveries are made during scientific surveys covering only a small proportion of the seabed once again goes to show just how little we know about the sea which surrounds the Maltese Islands”, says Prof. Patrick J. Schembri from the University of Malta’s Department of Biology. It is clear that more surveys in the Mediterranean may be required to ascertain its presence in other parts of the Mediterranean and the adjacent Atlantic ocean. 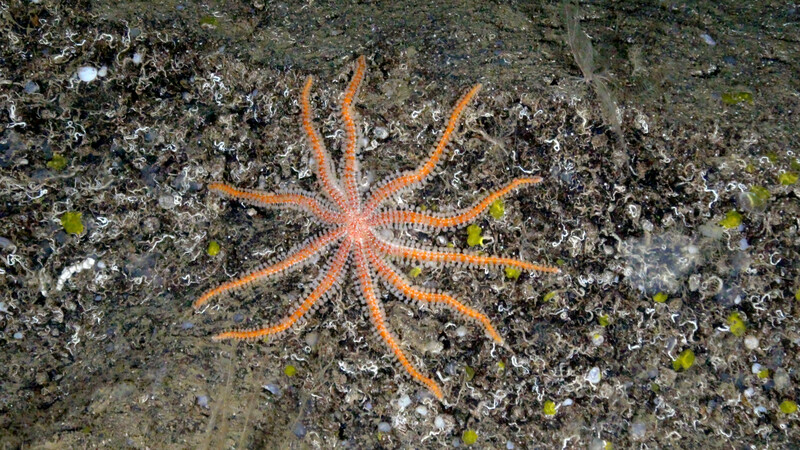 The discovery of this new population of multi-armed starfish in the Mediterranean has been published in ‘Marine Biodiversity’, an international, peer-reviewed scientific journal and is just one of the many new findings resulting from the LIFE BaĦAR for N2K project, co-financed by the EU LIFE+ Funding Programme and led by Malta’s Environment and Resources Authority (ERA), with the participation of the Ministry for Sustainable Development, the Environment and Climate Change (MSDEC), the Department of Fisheries and Aquaculture, the Department of Biology of the University of Malta and Oceana as partners.